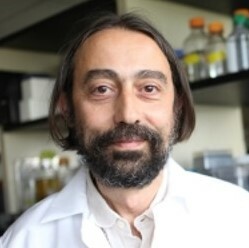 Adolfo Garcia-Sastre, PhD, has focused his research over the past 25 years on the molecular biology of influenza viruses and several other negative-strand RNA viruses. 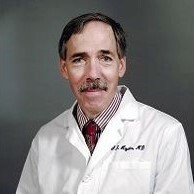 He has made major contributions to the influenza virus field, including the development of new genetics techniques and vaccine candidates against different infectious diseases, e.g., malaria and AIDS. His research has resulted in more than 480 scientific publications and reviews. Dr. Garcia-Sastre is Director of the Center for Research on Influenza Pathogenesis, one of the five Centers of Excellence for Influenza Research and Surveillance funded by the National Institute of Allergy and Infectious Diseases. His publication in Science on the reconstruction and characterization of the pandemic influenza virus of 1918 was awarded the paper of the year distinction by Lancet in 2005. 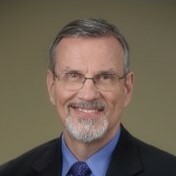 Barney S. Graham, MD, PhD, is an immunologist, virologist and clinical trials physician whose primary interests are viral pathogenesis, immunity and vaccine development. His work is focused on HIV, respiratory syncytial virus (RSV), influenza, coronaviruses and other emerging viral diseases. In 2000, he became one of the founding investigators for the NIAID Vaccine Research Center at the National Institutes of Health, where he is now the Deputy Director and Chief of the Viral Pathogenesis Laboratory and oversees the advanced development of candidate vaccine products. His laboratory investigates basic mechanisms by which T cells affect viral clearance and immunopathology, explores mechanisms of antibody-mediated viral neutralization, and develops vaccine approaches for respiratory virus infections and emerging viral diseases, including Zika and MERS coronavirus. He is a recipient of the Robert M. Chanock Award for lifetime contributions to RSV research. He serves as a consultant for organizations involved in vaccine development for HIV, tuberculosis, malaria, RSV and emerging viral pathogens. Graham BS. Advances in antiviral vaccine development. (link is external) Immunol Rev. 2013 Sep;255(1):230-42. Williams WB, Liao HX, Moody MA, Kepler TB, Alam SM, Gao F, Wiehe K, Trama AM, Jones K, Zhang R, Song H, Marshall DJ, Whitesides JF, Sawatzki K, Hua A, Liu P, Tay MZ, Seaton KE, Shen X, Foulger A, Lloyd KE, Parks R, Pollara J, Ferrari G, Yu JS, Vandergrift N, Montefiori DC, Sobieszczyk ME, Hammer S, Karuna S, Gilbert P, Grove D, Grunenberg N, McElrath MJ, Mascola JR, Koup RA, Corey L, Nabel GJ, Morgan C, Churchyard G, Maenza J, Keefer M, Graham BS, Baden LR, Tomaras GD, Haynes BF. HIV-1 VACCINES. Diversion of HIV-1 vaccine-induced immunity by gp41-microbiota cross-reactive antibodies. Science. 2015 Aug 14;349(6249):aab1253. doi: 10.1126/science.aab1253. Epub 2015 Jul 30. Gilbert PB, Juraska M, deCamp AC, Karuna S, Edupuganti S, Mgodi N, Donnell DJ, Bentley C, Sista N, Andrew P, Isaacs A, Huang Y, Zhang L, Capparelli E, Kochar N, Wang J, Eshleman SH, Mayer KH, Magaret CA, Hural J, Kublin JG, Gray G, Montefiori DC, Gomez MM, Burns DN, McElrath J, Ledgerwood J, Graham BS, Mascola JR, Cohen M, Corey L. Basis and Statistical Design of the Passive HIV-1 Antibody Mediated Prevention (AMP) Test-of-Concept Efficacy Trials. Stat Commun Infect Dis. 2017 Jan;9(1). pii: 20160001. doi: 10.1515/scid-2016-0001. Epub 2017 Jun 6. Frederick G. Hayden, MD, focuses his research on respiratory viral infections, with a particular focus on the development and application of antiviral agents for influenza, rhinovirus and other respiratory viruses. He previously served as a Medical Officer in the Global Influenza Programme at the World Health Organization (WHO) and as Influenza Research Coordinator at the Wellcome Trust in London. He has published more than 350 peer-reviewed articles, chapters and reviews, and he co-edits, with Douglas Richman and Richard Whitley, the textbook Clinical Virology. In 2012-2013, he worked with WHO colleagues to develop the Battle against Respiratory Viruses (BRAVE) to foster research on this important public health problem. He also helped to establish the International Severe Acute Respiratory and Emerging Infection Consortium to improve the clinical research response to respiratory and other emerging infectious disease threats.